These outdoor notice boards are made from durable Resinwood recycled plastic, top-quality cork, shatter proof acrylic windows, anodized aluminum frames and weather proof locking mechanisms. 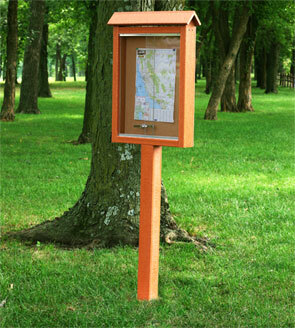 The variety of configurations and solid construction ensure your community information notice boards can be placed where they are the most effective. Available in the Resinwood color options as shown.